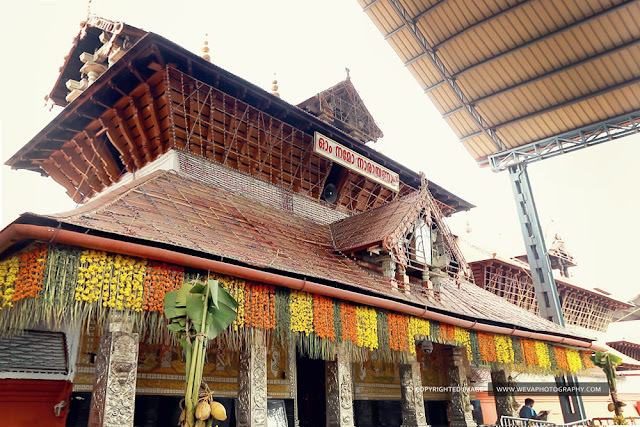 Remarks : Guruvayoor Temple Timings may vary during festive days like, Astami Rohini, Udayasthamana Pooja and other important temple festivals. Precautions: T-shirt, Lungi, chequered clothes, pyjama will not be allowed. Mobile phones and camera are strictly prohibited inside the temple. You can enter inside only after security checking. So better keep prohibited items in the safe deposit locker at the temple entrance. This offering will be conducted at Chorun Hall (located at first floor of old Ticket Counter building). Take the ticket for chorun from counter before entering the chorun Hall. This offerings starts daily at 5am till 1pm and also in the evening.The choroonu for kids will not be conducted on Ekadasi and every Vavu Night. The choroonu will not be conducted on Guruvayur Ekadasi Day (Entire day). 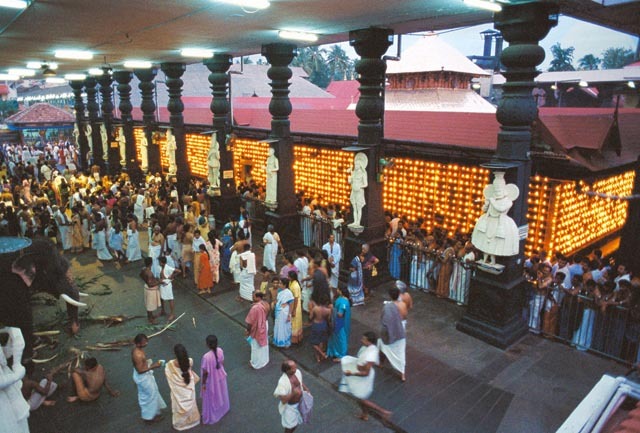 How to Perform Choroonu in Guruvayur Temple : Better to plan for morning time to perform your kid's choroonu. Inside the temple they have got spacious arrangements for performing good number of chorun ceremony at Guruvayoor at one time. As we mentioned above, take your ticket before entering to the hall and show the same inside choroon hall. Then one of the poojaris will accompany you towards the chorun space where you can see lots of wooden seats in different rows. Poojari will show you the place where you can sit with your kid. Family who performed Choroon can enter directly to Sree Kovil and get Dharshan : After completing the ceremony two of the family members along with choroon given baby can enter inside Serikovil and have darshan of Bhagavan Sree Krishna. You don't need to stand in long queue for getting darshan in this case. So don't forget to utilize this opportunity. The thulabharam offerings will start daily at 5am till the shrine is closed(aproximate-1.30pm) and again in the evening 5pm till the shrine is closed(aproximate-8.30pm).